Sir Peter Frederic Chester Cook (born October 22nd, 1936 in Southend-on-Sea in Essex) is a notable English architect, teacher and writer about architecture. From 1953 to 1958, he studied architecture at Bournemouth College of Art, and then moved to the Architectural Association School of Architecture in London, graduating in 1960. He later returned to the AA as a teacher. 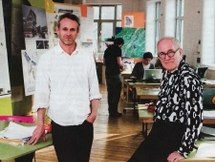 While working in the office of James Cubitt & Partners, Cook was one of the founder members of the influential Archigram group in the 1960s. In 1969 he received a grant from the Graham Foundation for work done with Archigram. He was Director of the Institute of Contemporary Arts in London, from 1970 to 1972. 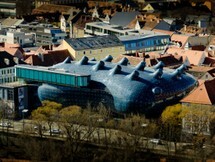 He was appointed Life Professor at the Städelschule (Art Academy) of Frankfurt in 1984, helping establish its reputation as one of the leading German architecture schools. 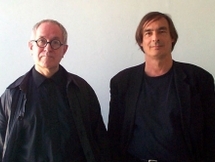 He later (1990) became Professor of Architecture at The Bartlett School of Architecture, University College London, a position from which he retired in 2005.